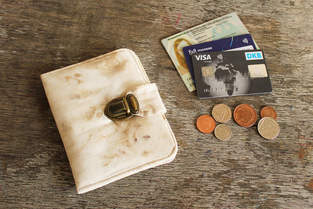 Purse “Arved” provides a lot of room for all your bank cards, ID card, tickets, receipts and notes as well as coins & banknotes. Everything can be stored in different compartments. 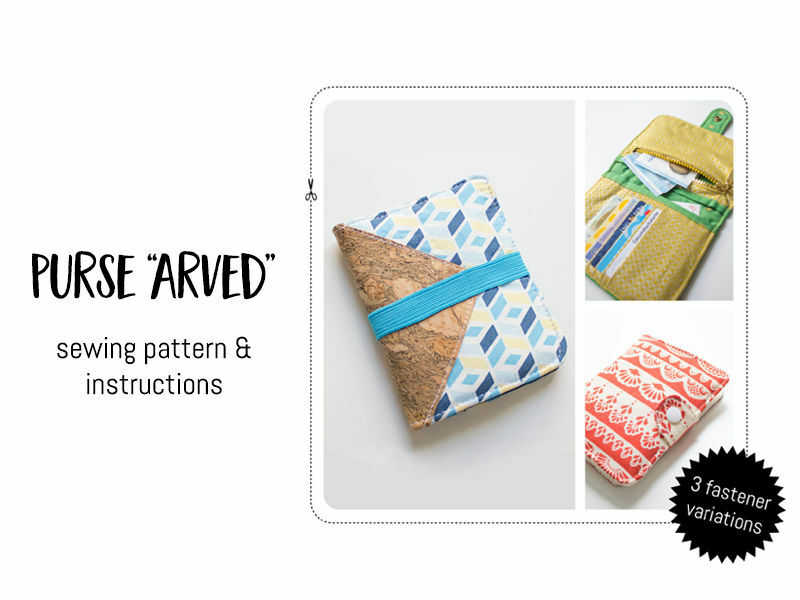 “Arved” is closed with a snap button, press lock or elastic ribbon. 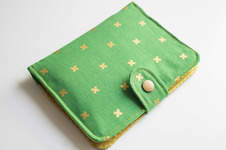 Inside there is an extra zipper compartment for your coins. 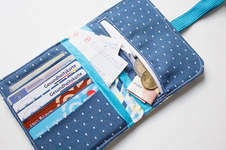 All in all there are 5 card slots, 1 bigger slot for your ID card or tickets and 2 compartments for banknotes, tickets and more and a coin compartment. 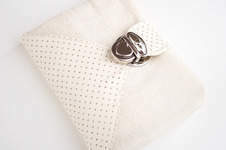 You can sew purse “Arved” with an optional triangular appliqué on the outside made of cork fabric, vegatex, felt or faux leather. 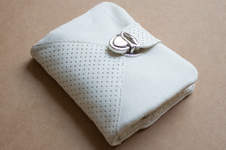 The folded “Arved” has a size of 10 cm x 13 cm (width x height).